When browsing websites on your Windows Phone, you might want to share a link to your friends via twitter, Facebook, email or SMS. 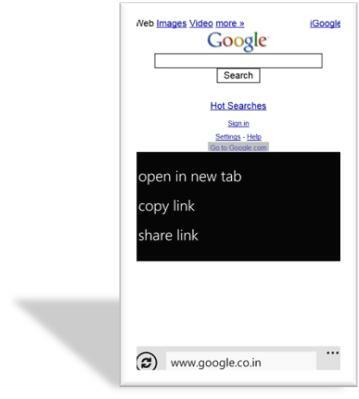 To share a Link from a Webpage in Windows Phone, just tap and hold on the link. This will open a context menu to display 3 options of which one of them is “Share link”.